I have a planted 20g tall currently with 6 Tetras. I plan on adding 6 more eventually, and being fully stocked. My Marineland Canister C-530 is the only flow going right now. I do weekly 20% water changes, and change out the carbon monthly, as well as rinse the rest of the canister, dumping out the old water, and starting with new tap water. I top off with distilled water only. 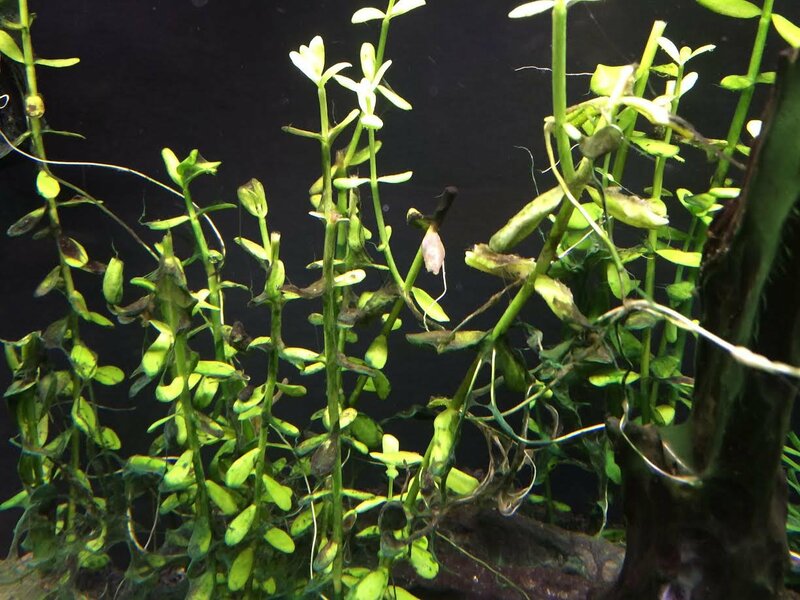 I have this black 'filmy' algae that gets on some of my plants, and on some of the substrate. I siphon out as much as I can, but it still comes back. My drop checker is consistently a yellow-green, but plants are happy with the CO2, otherwise. Can you get a picture of the algae? How long are you leaving your lights on? You could look into a cleanup crew, i.e. 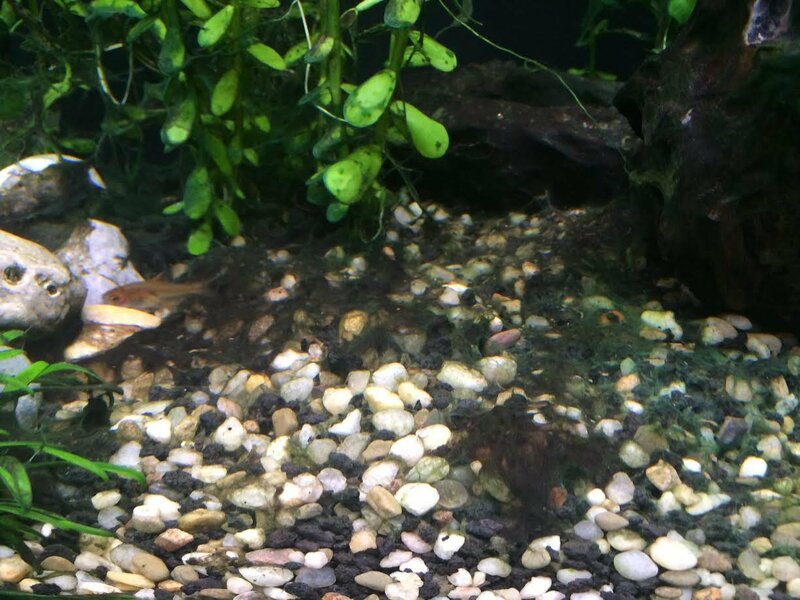 shrimp, snails, a pleco, and/or some corydoras catfish or some otocynclus catfish. I have snails and shrimp, and haven't had to worry about algae in years. The stuff on the substrate is the best representation. Also, forgot to mention: I have a Cherry Shrimp, and a Crystal Red Shrimp. I'm out of ideas, apologies. Other thing of note, they are almost all wild caught, and between shipping and being kept in clean tanks at the stores (because let's face it, no store wants an algae filled tank) they are normally starving to death when you get them. Of the 8 I bought, I have 2 remaining (other 6 died within a week), and have had those 2 for about a year now, living well in my 75. My LFS got a shipment in today, and as soon as I can make it out, I'm getting a few more. From what I have read online, people experience about a 50% loss within the first month. I wouldn't overpopulate your tank expecting it, though. Another option would be a mystery snail. Of note with these, they get bigger than I originally thought, and over-stocked my tank (I got 20, and have had to spread them out in different tanks because they poop more than a pleco). If they don't like the extra food you need to feed them, they will eat plants. Also of note, the past week I have typed many different responses to many different people, and never clicked "Post", both here and on facebook, and I am very sorry for the delay on sending you this.